We just got back from Phoenix, where the heat was unbearable! Thankfully, it’s a little cooler here at home and we are enjoying these longer days. With Summer officially here, I wanted to share a quick, farmhouse inspired printable with you. Grab the printable for this free Farmhouse Beautiful Sun Sign below. Can you believe how popular the Farmhouse style is right now? Don’t get me wrong, I love almost all of it and I’m happy to see our local decor store carrying so many beautiful pieces. However, the Farmhouse style is all about classic charm and simplicity. See a Farmhouse sign you love and just have to have? Don’t be afraid to take it on as a DIY project. Many Farmhouse pieces can be recreated for a fraction of the price! 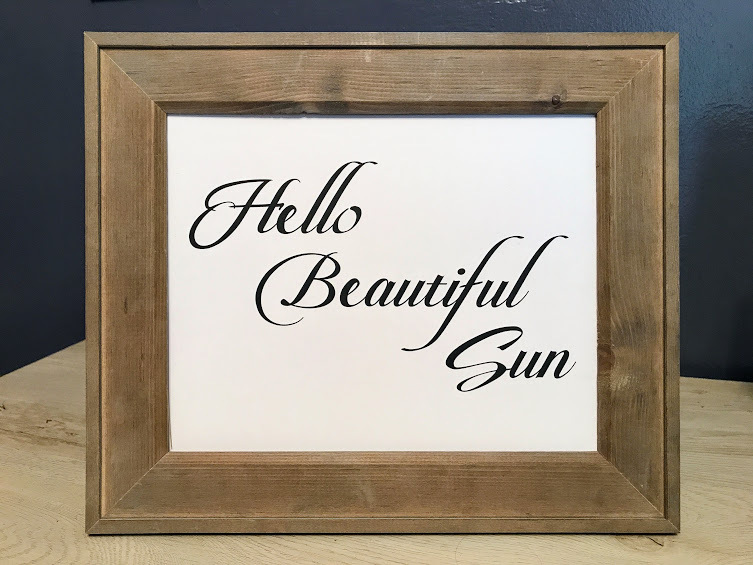 This “Hello Beautiful Sun” print is the perfect example of simple, yet beautiful decor piece. 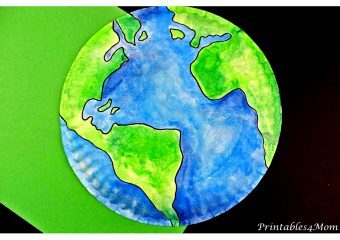 Use Modge Podge to create a wooden sign out of this printable or add a simple frame. I got this one from Walmart, but you can find this same wood frame on Amazon. 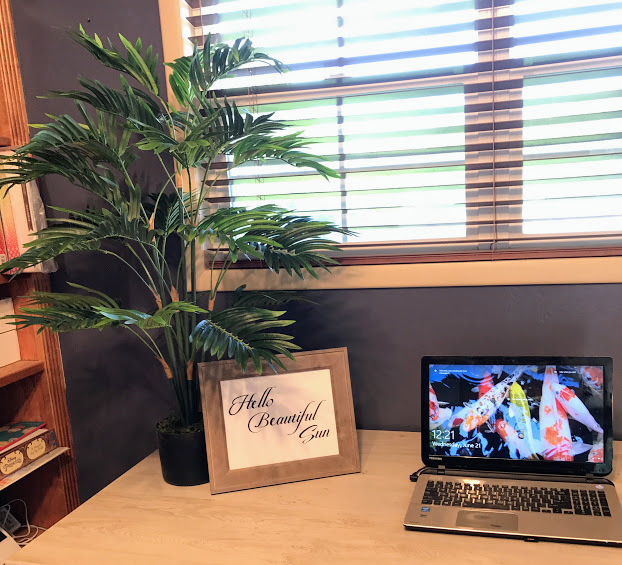 By the way, don’t you just love my Areca Palm tree?! Plantscape is an interior plant service specializing in artificial plants and interior landscape design. 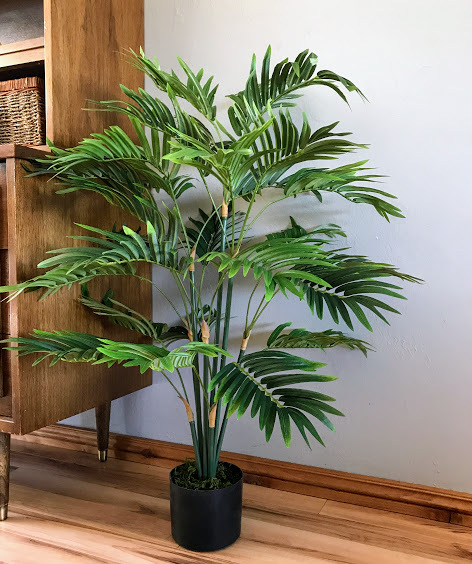 You know how much I love plants that are impossible to kill, so when they offered to send me their Areca Palm I jumped at the opportunity to see it in person. Isn’t it beautiful?! I’m still looking for the perfect place to show off this tropical palm tree. 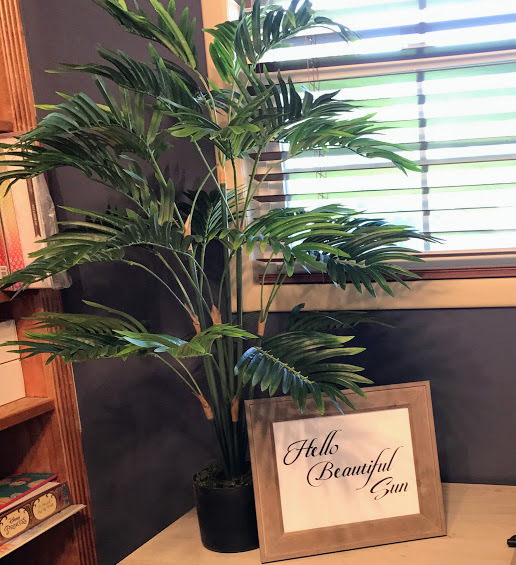 It would look great indoors or out on the patio, but for now I have it sitting on my desk with my Farmhouse Printable. 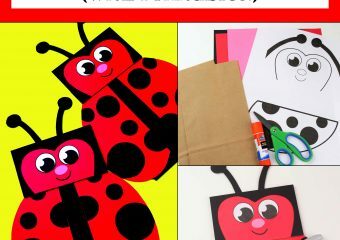 This free printable is 8.5 x 11″. Simply print and frame for a quick addition to your décor! Billie! That palm tree is gorgeous! I can’t keep anything alive on my sun porch. You know how it is with this Arizona heat. I may have to go artificial. 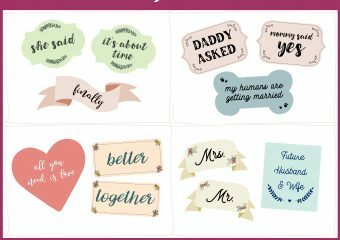 Thank you for the free printable. I’ve been looking for something simple to add to my dining room décor. Shipping on Etsy was way too much. This is perfect! I will be pinning this in pinterest to share girl.